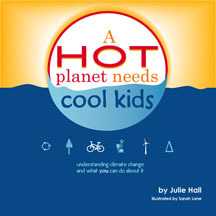 Just like The Down-to-Earth Guide to Global Warming, A Hot Planet Needs Cool Kids is a book explaining climate change and what children can do about it. It is exciting to see children’s authors addressing the topic in an accessible, age-appropriate manner. It is also encouraging to see the information about climate change presented along with inspiration for change, hopefully preventing children from experiencing the environmental depression I sometimes feel. 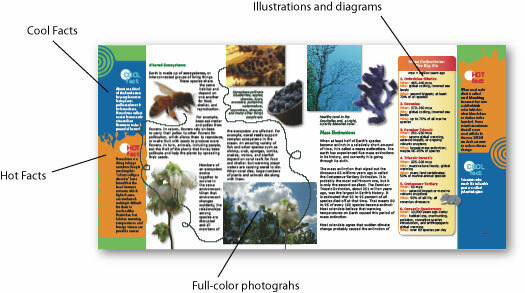 We strive through planet friendly, progressive, and challenging books to support the development of progressive kids, so that the next generation will be prepared and motivated to care for our planet and the many forms of life that live on it. These values also reflect my goals as a parent for my children. All of the products sold at Progressive Kid support these principles, including their very first publication of Green Goat Books, A Hot Planet Needs Cool Kids. It will become inhospitable where I live, where summertime temperatures can reach 100 degrees already. We will run out of fresh water to drink and our creek will dry up, causing us to lose our off-the-grid power source. We will be unable to grow enough food to support the global population. The poor will suffer the most, creating a widening of the socioeconomic gap. There will be mass extinctions of animal and plant life. What’s so dangerous about global warming is that it leaves many people feeling hopeless, as if nothing they could do would matter. This fine book makes it clear that that’s not the case, and from changing light bulbs to changing laws it shows young people how they are able to help. This book is recommended for children ages nine and up. I highly recommend it, as I feel it is important to support independent publishers that represent your values. Informing and empowering children is key to solving our current climate crisis. Looks like a great book, and a great publishing group, too!